We understand the value of a good first impression. The moment your guests walk through the front door you want to make the best impression. When you choose one of our artistic entryways, you are getting the best quality available in El Paso. Our doors are custom built from the finest materials. If you are looking for excellent quality and craftsmanship you have come to the right place. Whether you want to choose something from our gallery of designs or have a custom design in mind, we can provide everything you need from start to finish. 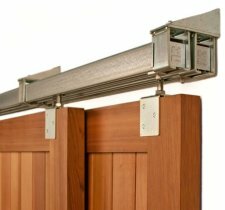 ​We have a large selection of outdoor gates to choose from. If you are looking for a gate for your outdoor garden or your commercial building, you are sure to find something in our gallery. You can choose one of these designs or we can create a custom order for your gate. No door or gate is complete without hardware. When it comes to matching hardware up with our custom designs, we only use the finest brands on the market. We ensure quality, performance and durability with each gate and door we install. 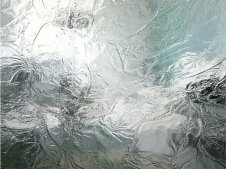 ​We offer a wide variety of glass to choose from for our custom door designs. We also offer leaded glass for added beauty to any door. The design is not complete without the right glass. Be sure to look at our selection to get an idea of what we offer. ​As you probably have already noticed, barn doors are a growing trend in interior design. These rustic doors offer a touch of homey luxury to any home. The sliding metal tracks can be incorporated into any decor. Whether you are looking for a sleek white design, a rustic weather beaten look, or anything in between, our craftsmen can help you achieve the barn door look you are going for. ​If you are looking for top quality materials, craftsmanship, and customer service, contact us today. We only use the finest materials and our craftsmen pay attention to detail when creating and installing your entryway. 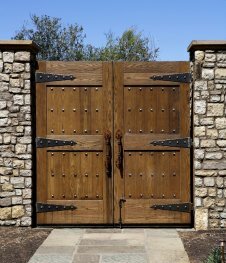 We will work with you every step of the way to install the right door or gate for your home or business.